With the negotiations looming on the issue of global greenhouse gas reductions, the nations of the world are beginning to sound more and more like squabbling children. Understandably, each is posturing to obtain the best deal possible. This issue goes way beyond nuclear, of course, but nuclear power can be an element of the solution. However, you wouldn’t know it to hear the statements coming out of some parts of the world. China and India, with their huge populations, are quickly moving to the top of the polluter list on a national level as their economies continue to grow. According to International Energy Agency (IEA) data, 97% of the increase in CO2 emissions between now and 2030 will come from the developing world. China and India will be a significant part of that. Yes, they quite rightly point out that their per capita emissions are currently very low. No one can deny that, and no one can deny the rights of the people of the developing world to enjoy the same comforts and benefits that the developing world has enjoyed. But the way countries are debating future restrictions reminds me of the squabbles of my childhood, when my mother told me to clean up my room, and I replied that my brother hadn’t cleaned up his room. “Two wrongs don’t make a right,” she would tell me sternly, and I would clean up my room. Of course, she would make make my brother clean up his room, too, but not as a precondition for my action. My mother's message is one that could well apply in the global arena today. The developed world must surely do more—a lot more—to reduce their own emissions. But it will gain us nothing if we reduce CO2 emissions from developed countries only to replace them with CO2 emissions from the developing world. In this regard, the recent reports of China's position in this matter are encouraging. They now agree that they should make significant cuts in their emissions. Many details remain to be worked out, such as how much, how firm a commitment they will make, and what assistance they want from developed countries in order to achieve this objective. Still, it is good to see this step forward, and it would be encouraging to see India follow suit. The world is where it is today in large part because we didn’t know better at the outset. When total emissions were small, they were easily handled by the atmosphere. As they grew, and as our understanding of the world grew, we very slowly became aware of what was happening. Now that we do understand, the developed world must do more. But there is no need for developing countries to repeat the mistakes of the past. Throughout human history, each generation has learned from the mistakes of its predecessors. The developing countries need to heed the lessons of history and follow a more environmentally sound path to development. The next round of international climate negotiations should put measures in place to strongly and equally discourage all countries, developed and developing, from adding new fossil-fired plants to the electricity grid. Instead, at least for new generation, the nations of the world should all turn to low-emitting electricity-producing technologies, although the specific choices of low-emitting technologies will vary with the particular circumstances of each country. Looking first at the addition of new energy sources, the developed nations of the world have the most options, and should exploit all of them. Nuclear power already plays an important role in a number of developed countries, and can and should play an increasing role in meeting future baseload needs. Some countries are also increasing their solar and wind generation capacities. At present, they generally pay a premium to do so. Even so, solar and wind cannot realistically meet all new energy needs. For a variety of reasons, it is desirable for developed countries to add a mix of low-emitting technologies. China and India, too, will benefit from using a mix of nuclear and renewable technologies. Both China and India already have strong nuclear programs and should build on those. In general, nuclear technology is cost competitive with other options, so there would seem to be little justification for adding fossil fuel burning sources instead of adding nuclear generation. Both these countries also have substantial possibilities to implement solar and wind technologies. While these technologies are more expensive in many applications, costs are coming down and they may be competitive in some applications. 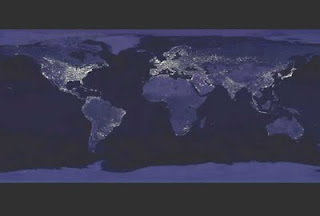 The situation for other developing countries will vary considerably, depending on the national grids, population distributions, and other factors. A number of developing countries are considering nuclear power. While the nuclear power option is not viable for all countries, and the hurdles (including investment) to starting a nuclear power program are significant, it is an attractive option in some cases. Countries that do not have the resources or infrastructure to start a nuclear power program admittedly have fewer options. However, many of these countries also have limited grids and sparse or remote populations, and local energy generating technologies may fit their current needs. The next international climate-control agreement reached should build in mechanisms, as the Kyoto Protocol did, that give the developed countries some incentive to provide assistance to developing countries. However, the new mechanisms should include all technologies that achieve reduced emissions. With appropriate mechanisms, there should be no excuse for developing countries to add yet more fossil-fired plants to the world. Getting rid of existing fossil-fired plants may well be another story. I would have to agree that it will be difficult for countries that are rapidly expanding their electricity supplies to simultaneously close operating fossil-fired power plants. Here, the developed countries should indeed do more than the developing countries to replace existing stock. Another interesting situation arises in the case of countries with small populations, but large per capita emissions, such as Australia. Australia has actually overtaken the United States in per capita emissions, at least according to some reports. Although their contribution to emissions as a country is small, using that as a justification seems inappropriate for a developed country. In particular, it seems odd to me that a country with such huge resources of uranium is not looking to nuclear technology to curb its own emissions. Australia is beginning to think along these lines now, and I would encourage that thinking. Needless to say, Australia, with its small population and large landmass, and located where it is geographically, also has substantial possibilities to employ renewable technologies. The negotiations ahead are likely to be difficult, as every country understandably wants the best possible deal. However, every country needs to look deeply into its own situation and acknowledge what it can do. My mother’s other favorite admonition to me, when I wanted to do something that would be detrimental to me just to one-up my siblings, was that I was cutting off my nose to spite my face. Every country needs to realize that what brings them some advantage in the near term could harm us all in the end. Today’s posting is a little off my usual subject area, but when I find something that combines several of my favorite interests—namely wine and things nuclear—I just can’t resist. A very interesting article from the medical side of the house finds that red wine, in addition to the other health benefits it’s alleged to have, helps limit the toxic effects of radiation therapy for women with breast cancer. Even more interesting was the fact that the effect seemed to max out at one glass of wine a day, a fact that should be reassuring to those who worry about cancer patients indulging in too much self-medication with wine. The effect has not been studied yet for patients, male or female, undergoing radiotherapy for other cancers. Furthermore, I did not find a postulated cause for the effect. 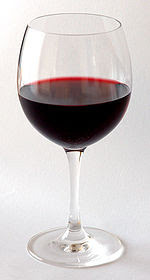 While I would ordinarily be inclined to dismiss a finding for which there is no known mechanism, the data seem to show a significant difference in the incidence of radiation-induced toxicity, and there is strong evidence that the moderate consumption of red wine has other health benefits as well. That combination of factors makes a strong case for further research into this intriguing area. As I reported when I began this blog, I had previously posted five essays on the website of Japan NUS Co., Ltd. (JANUS). At that time, I had agreed with JANUS that I would prepare and post one more essay. That essay, "Nuclear Power in a Global Context" is now available on the JANUS website in both Japanese and English. I have also added a note to that first posting that I will repeat here. 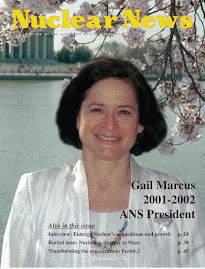 I am honored to have been selected as the first guest writer for the "Global Energy Essays" series of JANUS. I enjoyed the experience of writing those essays, and in fact, was largely inspired by that experience to start my own blog. Currently, the JANUS essay series will continue with another guest writer. I am pleased to report that the Department of Energy has announced that the Honorable Peter "Pete" B. Lyons, a former Commissioner at the Nuclear Regulatory Commission, is about to be named the Principal Deputy Assistant Secretary for Nuclear Energy. Since this is "advance" news, it has not yet been well publicized, so I think it is worth reporting. Dr. Lyons will be joining the Honorable Warren "Pete" F. Miller, Jr., who was recently appointed Assistant Secretary for Nuclear Energy by President Obama. The two Petes bring to the Department formidable technical backgrounds and strong records of accomplishment. This combination bodes well for the Office of Nuclear Energy in its efforts to explore and develop advanced nuclear energy technologies and to help reenergize the nuclear industry in the years ahead. Pete Lyons holds a bachelor's degree in physics and mathematics from the University of Arizona and a doctorate in nuclear astrophysics from the California Institute of Technology. 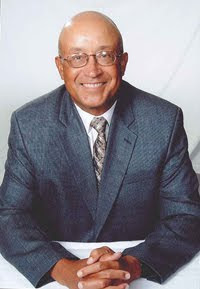 He spent most of his career at Los Alamos National Laboratory, and served as deputy associate director for both energy and environment and for defense research and applications. In 1996, he came to Washington, DC to serve on the staff of Senator Pete Domenici and on the Senate Committee on Energy and Natural Resources. He was appointed a Commissioner of the NRC on January 25, 2005 and served in this capacity until June 30, 2009. It should also be noted that Dr. Lyons held a Republican seat on the Commission. Lyons joins Pete Miller, who was confirmed by the Senate on August 7, 2009, as Assistant Secretary for Nuclear Energy. This is old news to most people, but since I didn't think about covering such news when I started this blog around that time, I'll take this opportunity to summarize his credentials. Dr. Miller has a bachelor's degree from West Point and master's and doctorate degrees from Northwestern University, all in nuclear engineering. Like Pete Lyons, he has served most of his career at Los Alamos National Laboratory, and has served as an associate lab director for math and physics, as well as for energy research. In the latter positions, he has been responsible for the work of over 2000 people. He also has held appointments at two different universities at different times in his career. Dr. Miller was nominated by the President to serve simultaneously as Assistant Secretary for Radioactive Waste, but that nomination has not yet been acted on by the Senate. Both these individuals bring a wealth of experience to their jobs on a wide range of technical issues, and both also have considerable understanding of the political environment in which nuclear power operates. Their appointments are encouraging evidence of the expressed intention of the Administration to appoint individuals who are well qualified for the positions they hold, and to reach out beyond party boundaries. I know both Pete Miller and Pete Lyons, to varying degrees, and think very highly of both of them. I look forward with great anticipation to their leadership of the Office of Nuclear Energy.